We had a great work session in the garden last Saturday … Christian built a trellis for our grapes. Kimberley Knox, the new project manager for the Port Towns Community Health Partnership joined us in the garden too. We look forward to working with her over the next year. 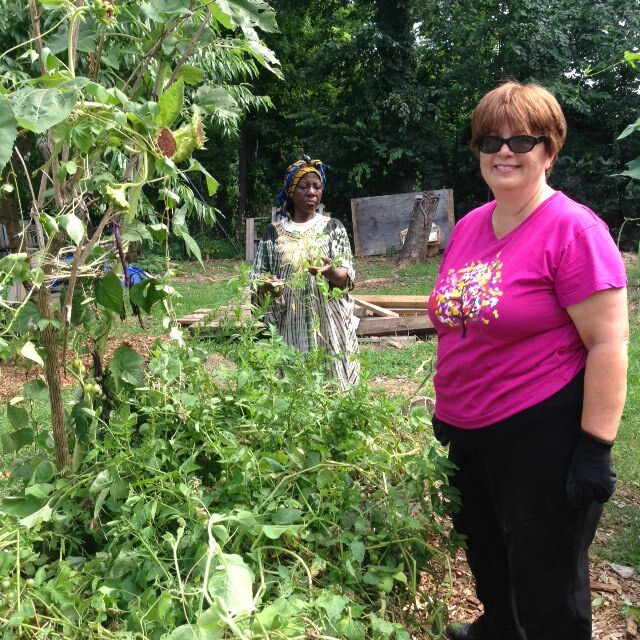 The Port Towns Community Health Partnership helps fund the Cottage City Community Garden. We’ve also updated our Garden Work Session Calendar. Next Next post: Volunteer at Cottage City Garden on August 8.